I take pictures and share them with people. Sometimes, people share photos with me, so I write a story about the photo, and share that with everyone too. It's a photo and story blog. 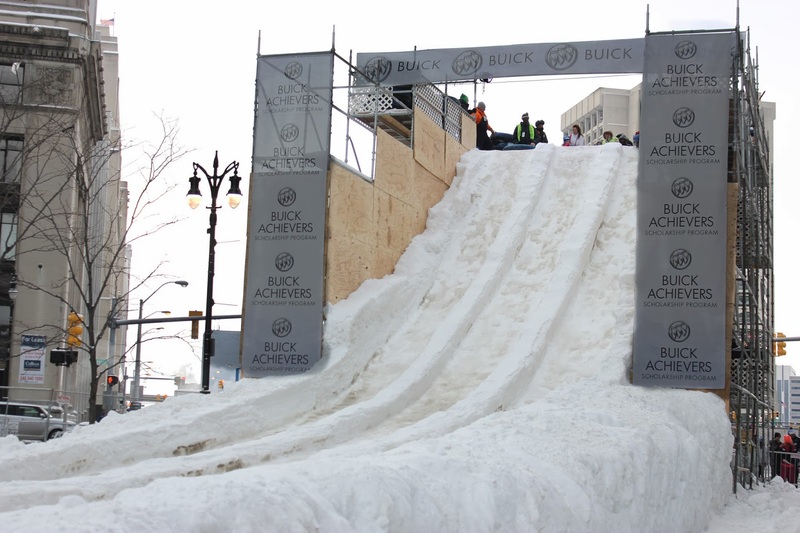 Ever since Detroit played host to Superbowl XL, the good people at Winter Blast (Jonathan Witz and Associates) have put on an incredible event in Campus Martius. 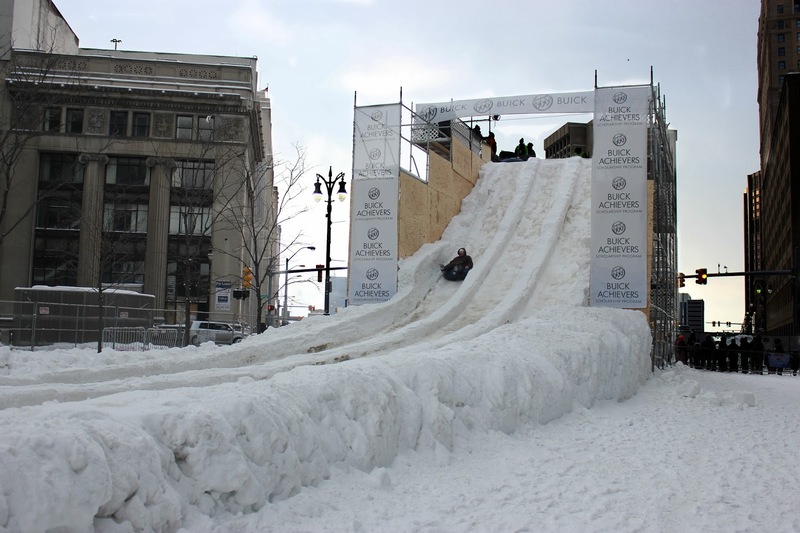 Home to free ice skating and a snow slide, it's a great way to spend a cold weekend in Detroit. This past Sunday, I took a quick trip down and snapped a few shots. Retouching on the sky to make the slide stand out. Compuware signage with the Compuware building in the background. Kids enjoying the free ice-skating, sponsored by St. John Health. Overall, I had a pleasant time, and got much more confident with photographing an event in a public place. Self-confidence is key to good photography in general, especially when you are doing a street event. Also, as for the close up on the snow slide and the moving of the work crew? It helps to know people, and it never hurts to ask nicely. Content not otherwise credited is Copyright Frank Accavitti III, 2014. Awesome Inc. theme. Powered by Blogger.